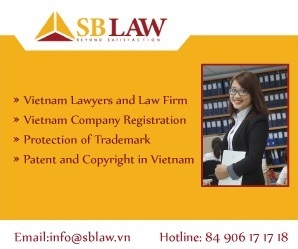 SBLaw was requested to assist foreign company (Hereinafter referred to as “Client”) to provide legal advice on company acquisition in Vietnam. We anticipate that our work will comprise of the following work streams. These are the key work streams required in any M&A cases. Depending on Client’s specific position/situation, other works may be required. Such additional works shall not fall under the scope of this Engagement Letter, but could be provided upon request. Assist Client in preparing MOU with the Assignor regarding to outstanding matters found from Due Diligence Study. Assisting Client to join the Contract Negotiation. Notify Client required documents and information for preparation of application dossier. SBLaw professional fees shall be based on the actual time our lawyers/consultants work on the services(s) for which we have been retained. In this case, SBLaw provide services on a fixed basis for the project upon receipt of information and documents for the case. Any work or additional work which is not covered by the scope of work as agreed upon will be billed in accordance with our standard hourly rates. SBLAWs’ lawyers and experts have worked out an unique set of solutions and research including legal frameworks, roadmaps that directly address M&A issues in order to minimize potential risks. We assist our client in due diligence study, identify associated commercial risks, preparing and/or reviewing legal documents, designing M&A deals and negotiation etc. Our practical advise, dedication have been highly appreciated by clients as valuable contribution for the success of their M&A deals. We assist clients in both cross-border M&A transactions and direct acquisition in Vietnam. ▶ Representing Viettel Real Estate Corporation regarding the transfer of a construction project of DAEWOON-HANCIC office building to Korean investor: consulting the feasibility of the transaction, advising, reviewing related documents, agreements and contracts. ▶ Representing Yen Tho Mechanical JSC in acquisition of the manufacturing project from foreign investor, included consulting the feasibility of the transaction, preparing related documents, contracts and handling the licensing procedures. ▶ Representing BVI in acquisition of capital contribution of 5 companies in advertising and communication services in Vietnam. ▶ Representing a Vietnamese company in acquisition of a real estate project in Bac Giang province, included consulting the structure of the transaction, preparing related documents/ contracts and licensing procedures. ▶ Representing a foreign investor to transfer a manufacturing project to foreign investor, included drafting and negotiating the transactional contracts.